MONTGOMERYSHIRE BIRDS: Tawny Owl Calling Survey - it's a hoot! Tawny Owl Calling Survey - it's a hoot! 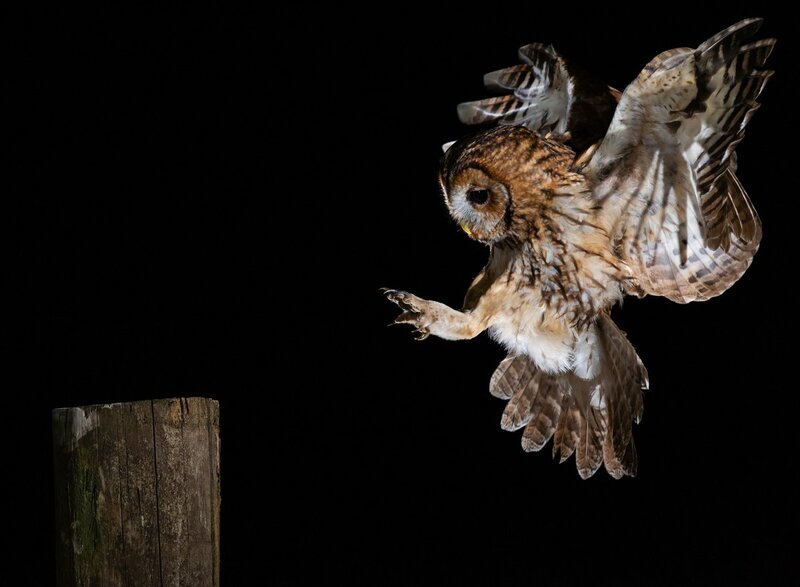 The British Trust for Ornithology (BTO) is asking the great British public to participate in a national study of Tawny Owls and their calling behaviour by listening out for them between now and 31st March. The Tawny Owl population is thought to be in decline and the species has recently been added to the Amber List of Birds of Conservation Concern. The Tawny Owl Calling Survey is designed to help BTO researchers understand more about the current state of the bird’s population and the impact of factors such as urbanisation and light pollution. Anyone can participate from their garden or local green space. All you have to do is listen for 20 minutes one evening each week, anytime between dusk and midnight, and note the number of calling or hooting tawnies that you hear. You don’t need to commit to recording every week but you’ll be contributing valuable data by listening for as many weeks as you can. Zero results are valid too: it’s important to know where tawnies aren’t to be found, as well as where they are, so don’t be deterred if they are not regular visitors to your patch. The BTO has set an ambitious target of 10,000 volunteers for this survey so please give it a go if you can. It could hardly be easier: you can even take part from the comfort of your bed! Alternatively, wrap up warm, take a mug of cocoa into the garden and enjoy the music of the night. It's a great idea to flag this up on the Bird Blog Claire - hope it inspires lots of people to take part. We've signed up! Excellent, thank you - hope you enjoy it!